Real Time Graduates, founded in 2016, is a non-profit initiative that connects Graduates with the Greek Shipping Cluster. It was inspired by the Internship Programme operating within Laskaridis Shipping Co.Ltd. since several years. Real Time Graduates is a hub made up of Ship Management Companies, Brokers, Chartering Desks, Classification Societies, Financial & Legal Institutions, Technical Offices and others, working within the Greek Shipping Sector. The scope of the programme is to connect young and talented graduates without work experience, with the maritime industry. Both the Graduates and the Companies benefit from joining Real Time Graduates as they join a community where they may find a traineeship position, work placements and employment positions and companies have the opportunity to gain access to a pool of qualified individuals all in one place. 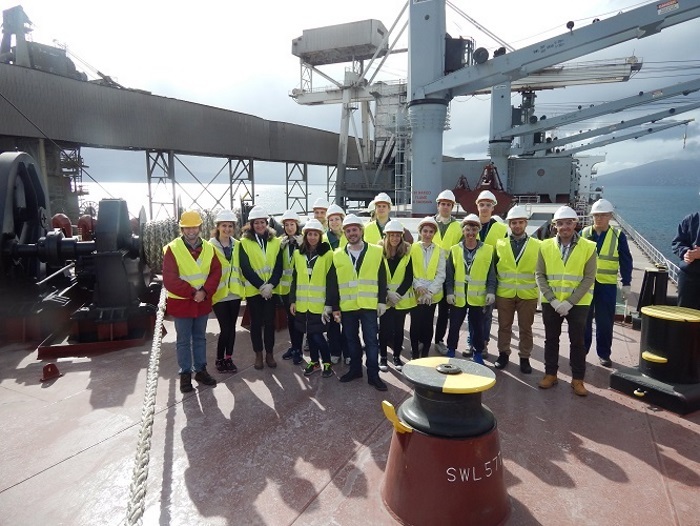 Graduates that have a degree in Shipping / Maritime Studies or a degree in a field affiliated with the Shipping Industry, possess no work experience in the Field and are up to 32 years old can participate in the programme for the experience of a lifetime. There is no fee for participating in Real Time Graduates neither for the Graduates nor for the Companies. It is the first free database with CVs specifically targeted for the Shipping Community with studies that include Marine Policy, Maritime Law, Marine Engineering, Financial Studies, Business Management, Accounting, Computer Science, Logistics and others. We have graduates from more than 200 Greek and Foreign Universities, Naval Academies, Schools & Colleges: University of the Aegean, University of Piraeus, Alba Graduate Business School, City University, Plymouth University, Southampton University, Athens University of Economics and Business, Newcastle University and National Technical University of Athens among others. The number of Internships and Direct Hires from Real Time Graduates for the year 2017-2018 is 36. Working to offer more to the registered Graduates in our programme we have initiated The RTG Blog – http://www.investinthefuture.gr/blog – a place where Graduates can get informed about the latest shipping updates and other related news, read interviews with maritime executives about their start in shipping, publicise their work, and find tips on getting prepared in the Maritime sector. 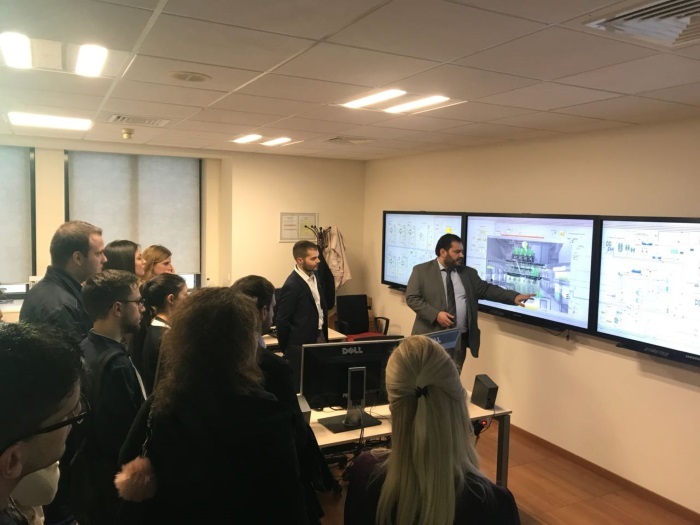 In addition, we have launched The RTG Open House scheme, which gives the opportunity to our registered graduates to take part in the company visits we organise to the premises of some of the biggest Shipping Organisations & Companies in Greece. So far, more than 500 registered Graduates have participated in 27 Open Houses. Finally by registering in our programme the Graduates enjoy a 20% discount in the maritime seminars of some of the greatest organisations, like the Institute of Chartered Shipbrokers Greek Branch (ICS) and the Hellenic Shipbrokers Association (HSA), that support Real Time Graduates. Through the Real Time Graduates Programme, the companies have the opportunity to work with young, fresh and eager graduates and possibly finding valuable employees for the future through a pool of qualified individuals all in one place and at the same time show the real public profile of social corporate responsibility of the maritime sector in Greece. The current generation of shipping professionals has the option and the ability to be a part of the creation of the next generation of shipping colleagues. Previous: Are ships more polluting than Germany?